Scotty McCreery has been a strong supporter of charitable causes close to his heart, such as St. Jude Children’s Research Hospital. This month in honor of the Mercury Nashville / 19 / Interscope recording artist, the Scotty McCreery Fan Club has created “The Southern Belles,” a team named after his new single, “Southern Belle,” to participate in the St. Jude Walk/Run to End Childhood Cancer in Nashville on Sept. 26 at Edwin Warner Park at 8:00 AM -- and they are asking their fellow fans to join them. Anyone who wants to join “The Southern Belles” can visit http://walkrun.stjude.org/southernbelles to sign up to walk with the team, donate money to St. Jude for the fight against childhood cancer, or both. Each person who donates will be entered in a drawing for a McCreery prize pack. More information can also be found at www.scottyfans.com/news. As part of Childhood Cancer Awareness Month, St. Jude will be holding Walk/Runs all over the nation on Sept. 26. The Nashville event has a goal to raise $210,000 for the cause, and “The Southern Belles” are excited to help the hospital reach its goal. McCreery’s new single “Southern Belle” can be heard nationwide on country radio and is available for purchase at http://umgn.us/southernbelle. For more information on St. Jude Children’s Research Hospital, visit stjude.org. 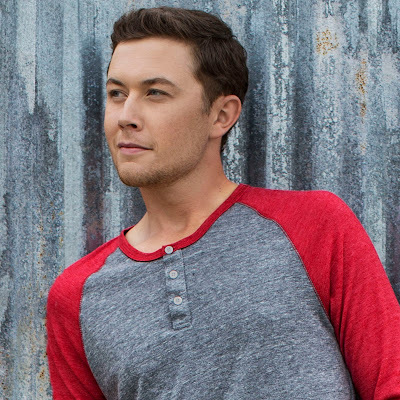 For more information on McCreery, visit ScottyMcCreery.com.